What would you do if you heard a voice telling you what to do? Would you listen to that voice or ignore it? For Bill Bennett, listening to a voice he heard while rushing to the airport early one morning literally saved his life. As he approached an intersection, the voice told him to slow down. Fortunately Bill listened because a huge truck ran a red light on a cross street ... See More right in front of him, missing him by inches. If it were not for that voice and Bill’s willingness to listen and follow the guidance of that voice, Bill Bennet would have been killed. Determined to find out what that voice was, where it came from, and why his life was saved caused Bill Bennett to embark upon a 3-year long journey to sacred sites around the globe and meet with holy men, mystics, research scientists, quantum physicists, and psychiatrists. What Bill uncovered has now been made available in his remarkable movie called PGS – Intuition Is Your Personal Guidance System now available in cinemas in the United States and around the world. Interviewees in this film include: Caroline Myss, Paul Selig, James Van Praagh, Dr. Judith Orloff, Lee Carroll, Dr. Dean Radin, Michael Tamura, Dr. Jeffrey Fannin, Foster Gamble, Dr. Francesca McCartney, H.H. Pujya Swami Chidan and Saraswati, and the Prince of Bhutan. 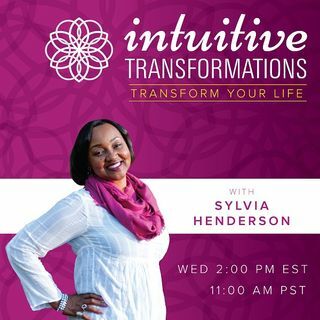 Join Sylvia and her guest, acclaimed movie director, Bill Bennett for a very informative conversation about intuition, the role that it plays in our lives, and how you can best tap into your own intuition and personal guidance system. In a career spanning more than thirty years, Bill Bennett has made numerous feature films and documentaries and won many awards, both in his home country of Australia and internationally. Bill Bennett has won Australia’s equivalent of the Oscar for Best Picture and Best Director, and has been nominated an additional twelve times. Twice he’s won Australia’s equivalent of the Emmy for Most Outstanding Documentary. Bill Bennett’s films have been distributed through several Hollywood studios, and been have screened at some of the world’s most prestigious film festivals. He’s been in Official Selection at the New York Film Festival, and has had two films in Official Selection at the Cannes Film Festival. He has won the Crystal Globe for Best Picture at the Karlovy Vary Film Festival, and had three major international retrospectives, which includes the Chicago Museum of Art’s Film Centre. PGS – Intuition is your Personal Guidance System is being shown in theaters located in the US, Australia, and New Zealand. And, is available for private group viewings.